Employer direct is an online marketplace for employers to post their job requirements, and a dedicated account manger will be assigned from HireXtra platform. Unlike few crowd staffing companies in the market, hireXtra uses Al / ML/ Big Data for talent validation and talent mining. Never again should a great company fail because lack of resources. 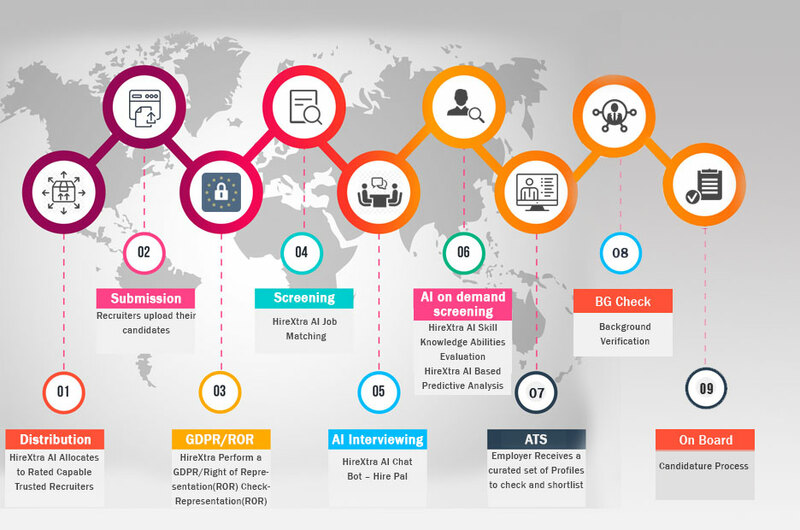 HireXtra is a UK based “Futuristic- AI Crowd Staffing platform” firm with multitude of recruitment agencies working in tandem to provide the first matching profiles for any requirement in less than 5 hours. We are committed to work ethically with deep understanding of our Client Needs on Time. HireXtra provides you with a cutting-edge market place between vendors and employers to achieve a higher efficiency in fulfilling every hiring demand at a faster rate. It is a one stop shop for all your recruitment needs and is an enabled cloud based which serves as Talent Acquisition platform to provide all staffing needs in curated way. We take full responsibility of enhancing the output. 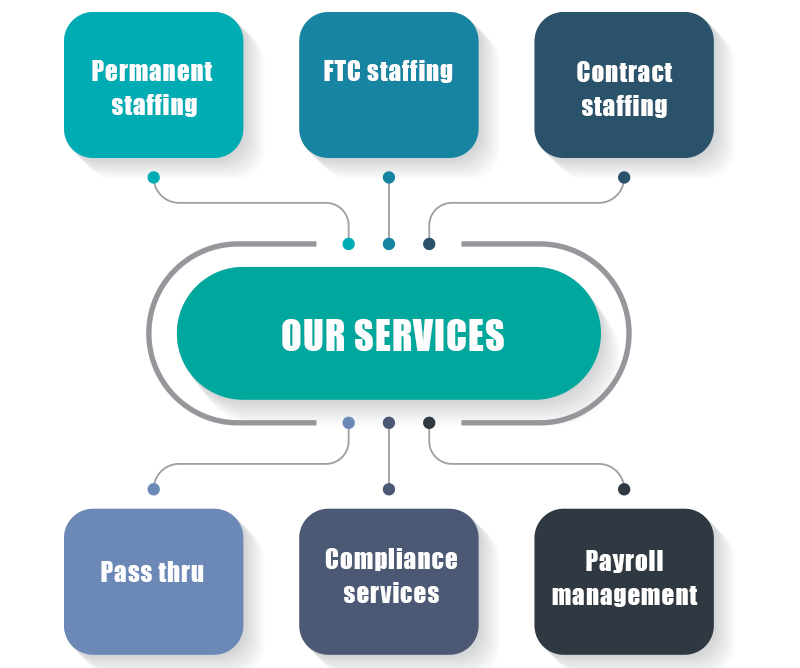 We also play a vital role between the “Employer” & “Vendor”, to discover and pursue exciting careers through our very own platform, in which employer can also post all their requirements or through our dedicated relationship managers, our team is exceptionally skilled in identifying right top talents. We ensure to fulfil your requirements in significant turnaround time. As a crowd staffing specialist, we have effectively mapped out 3000+ vendors in the Staffing market. Many of these vendors merely rely on us to make them aware of all open positions. With us, we guarantee fulfilment of all your contingent requirements and then submit you the most experienced talent profiles. 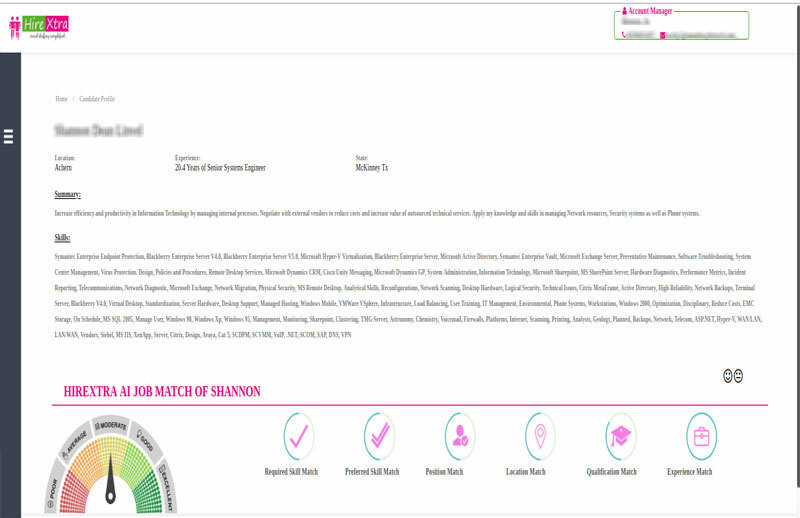 We will help you in attracting suitable profiles to your company by using our vendor networks. 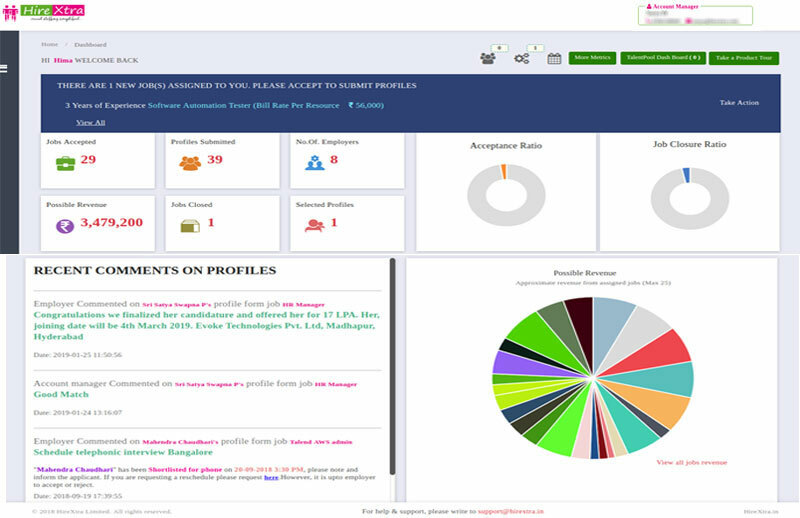 Being a curated process, we ensure our AI enabled mapping platform help’s the relationship manager to provide you the best profiles from our proficient vendors in a short time. The effort we have invested in getting AI tool to work is not only based on keywords search but also with additional features which are not available in other platforms. We have built this AI platform considering all the challenges that a recruiter might face while working to get the best resource to fill the position. It is absolutely free to sign-up and you pay when you hire. Keeping pace with business and being on the lookout for extremely talented individuals has become ever more challenging. Here is where Hirextra comes into play to bring the best suited talent for your company. Hence you can be certain that the candidate you decide to hire is truly the best, not just the best of those actively looking for a new position. 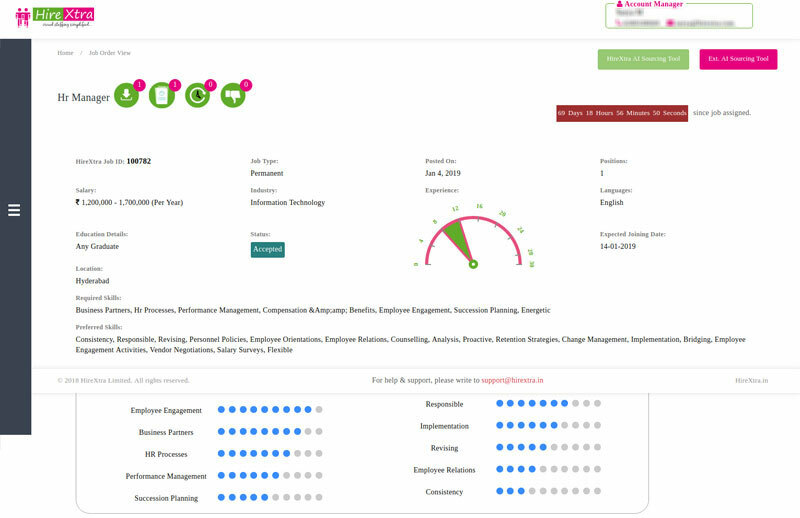 With HireXtra all your existing staffing agencies are managed in one platform and you can track all your vendors and their recitals.